Phototaxis- the bodily movement of a motile organism in response to light, either towards the source of light ( positive phototaxis ) or away from it ( negative phototaxis ). Moths, flies and many other flying insects have positive phototaxis and are naturally attracted to it. Same behaviour can also be projected on humans. This project is intended to explore the natural behaviour of people seeking for light in a dark environment and discuss the needs we have associated with the light. When in the dark environment, we are naturally attracted to the light source. As we rely on our vision so much in our daily living, it becomes abnormal to surround by somewhere or something that is not visible. To response to the question of what habitat is, my answer is lights. In the urban living environment, we are surrounded by lights from every angle of our lives which I think it has become our habitat- either natural or artificial lights. This phenomenon inspires me of thinking what the light means to us. I consider the light is more than a tool of visualising things. It is part of our habitat and the element we can not live without. This installation piece is to demonstrate the habitat of living in the urban environment with the light. The work is an interactive demonstration with vision and movement. The maximum distance of the sensor can detect is 500 cm. 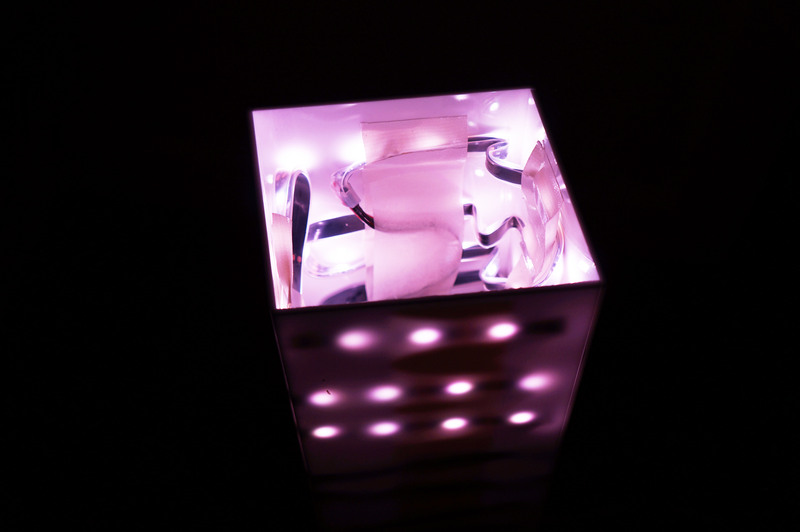 When the user is 100cm away from the light tube and sensor, the led strip will start lighting up. 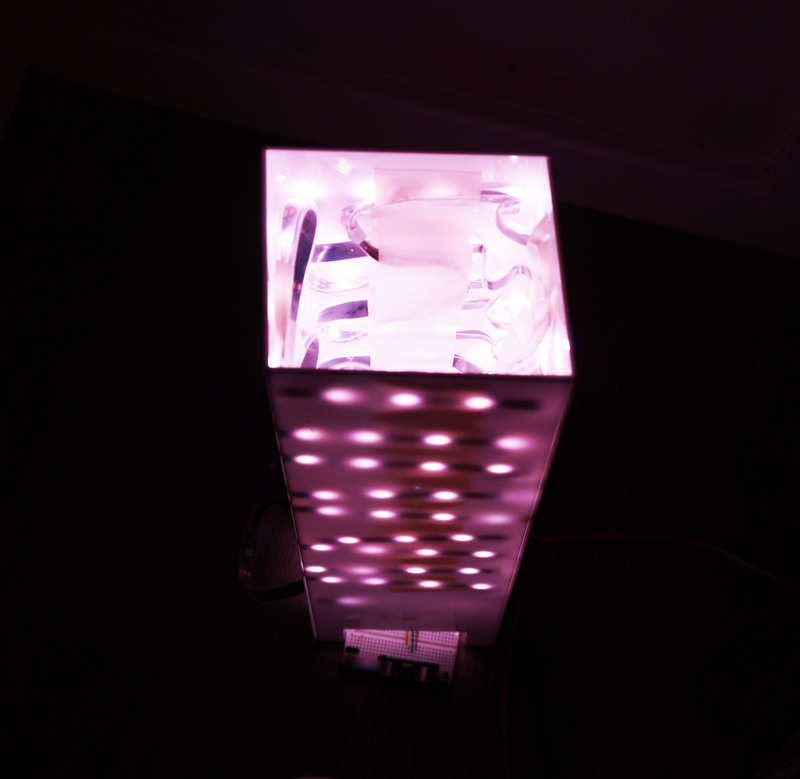 As the user comes closer to the light tube, the led stripe will gradually be turning on until it is fully on. 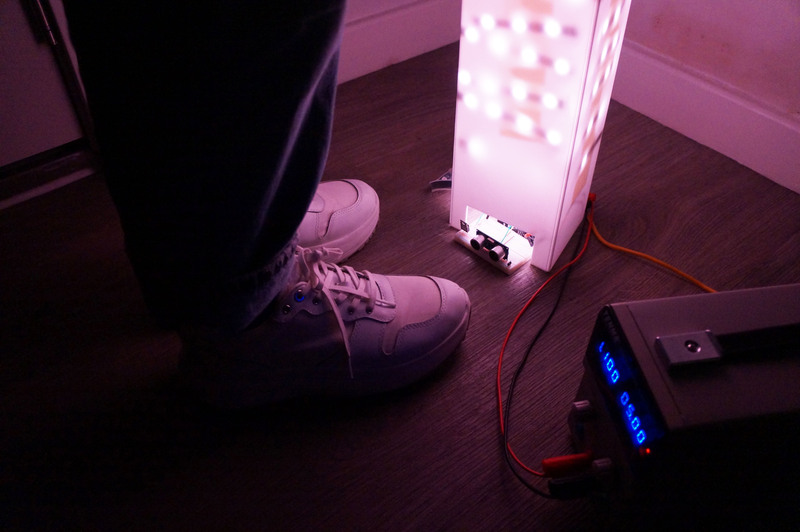 Relatively, when the user gets further away from the sensor, the led strip will gradually be turning off within the distance of 100cm. The structure of the installation is shaped as a skyscraper, which refers to our urban living environment.